SNOWY MOUNTAINS SCHEME: Colin and Trish Gratwick. THE Federal Government’s ambitious, $6.5 billion project known as ‘Snowy 2.0’ has moved a step close to being realised, with the NSW Government giving the go ahead to start preliminary works including a 3.1 kilometre tunnel in the heritage listed Kosciuszko National Park. Hardly a week goes by without the rising cost of power or where it’s coming from, makes headlines around the country. ‘Snowy 2.0’ has its detractors, the National Parks Association of NSW arguing it will only add to the enormous damage already done to the Kosciuszko National Park by the first Snowy Scheme. 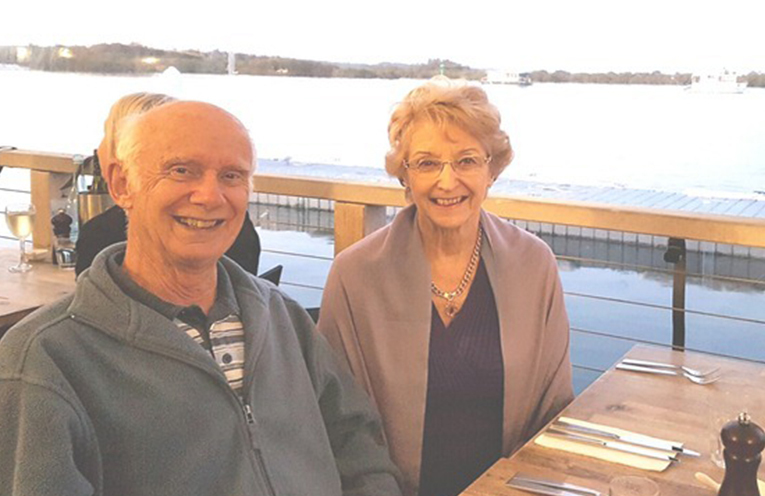 Local Colin Gratwick and his wife Trish know first hand what was involved in the construction of the Snowy Mountains Hydro Electric Scheme, which began way back in 1949. Colin recently shared his experience of working on the project with members of the U3A as part of their presentation and discussion days. “However, it was not until 1949 that the politicians of the two states and the Federal Government came to an agreement for the scheme to proceed. Colin joined the Civil Design Group of the Snowy Mountains Scheme in 1966 and worked on the design of the Murray 2 and Tumut power stations. He and his wife Trish became involved in the PR process undertaking courses so that they not only knew about the Scheme itself but also the history and ecology of the area. Whilst Trish spent many weekends working in the Cooma Information Centre, Colin often took visiting engineers or engineering students on overnight tours of the Scheme. When the Scheme was completed in 1974, Colin joined the Snowy Mountains Engineering Corporation, formed by the Federal Government to maintain the expertise which had designed and built the Snowy. The U3A’s Friday Presentations and Discussions are now held in the Uniting Church Hall on Myall Street Tea Gardens at 10am each Friday except through school holidays.